is one of the few Americans directing Japanese-produced films. 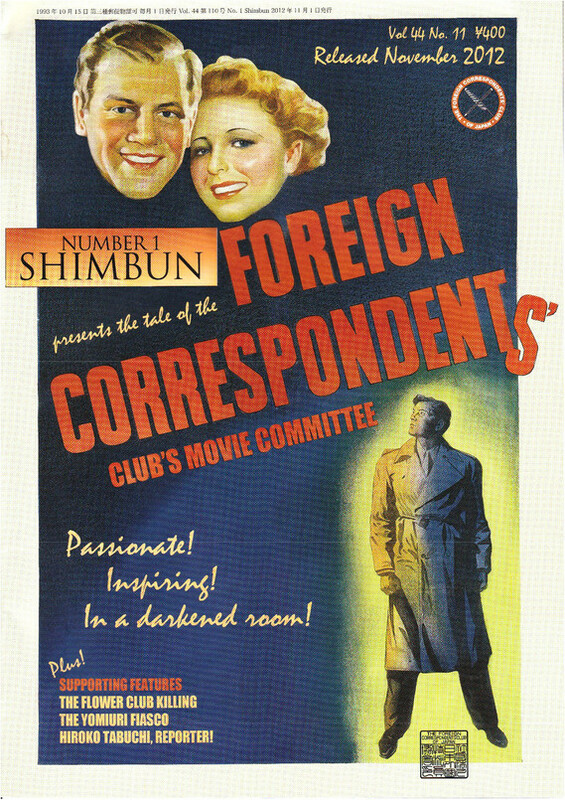 At least four ambassadors were in attendance for FCCJ’s packed sneak preview screening of Persona Non Grata, the first-ever biopic of the “Japanese Schindler,” Chiune Sugihara. A diplomat who defied orders and thus saved some 6,000 Jewish lives in the early years of World War II, Sugihara’s name was submitted by Japan this past September as a candidate for UNESCO’s Memory of the World Register. But the film proves to be timely for other reasons as well, evoking echoes of the current Syrian refugee crisis and the disheartening UNHCR report that found 1 in every 122 humans is now either a refugee, internally displaced or seeking asylum. The film attracted a huge turnout, and heavy praise for Gluck during the Q&A. Making one of many notable points. Much of the world now knows Chiune Sugihara as the “Japanese Schindler,” after Oskar Schindler, the German industrialist who saved close to 1,200 Jews during the Holocaust by hiring them to work at his factories. But very few know Sugihara’s backstory, and it is impressively limned in the film. Skilfully avoiding the detail-overkill of many biopics, Persona Non Grata introduces us to the young diplomat before his fateful posting as Japanese consul in Kaunas, Lithuania just as war was breaking out in Europe. After studying in Harbin and developing fluency in several languages, Sugihara had built a vast espionage network in Manchuria and provided critical intelligence to his superiors in the Foreign Ministry. But in 1937, he was declared “persona non grata” by Russia and forbidden entry to the country, as punishment for his negotiations in Japan’s acquisition of a highly strategic branch of the North Manchurian Railroad (which was later used to solidify the puppet state of Manchukuo). Barred from Soviet territories, Sugihara (Toshiaki Karasawa) thus arrives in Kaunas in August 1939, just days before the German Army advances into Poland, inciting World War II. The diplomat hires Polish spy Pesch (Szyc) as his driver, and the two men gather intelligence on the actions of Russia and the Nazis, the latter of whom Japan had allied itself with. By July 1940, as the Nazis approach Lithuania’s border, hordes of Jewish refugees have begun camping out in front of the Japanese Consulate, desperately hoping for visas to safety. But transit visas can only be issued to those with legitimate visas onward from Japan, and the means to provide for themselves throughout the journey. Gluck poses with the poster for the international market. After receiving a firm “No” to his cable to Tokyo, Sugihara decides he must take matters into his own hands. Abetted by Pesch and several other brave men of conscience, including acting Dutch Consul Jan Zwartendijk (Wenanty Nosul), Sughiara begins writing out visas via Japan to the Dutch Caribbean island of Curaçao. Between July 18 and August 28, he issues over 2,000 of them and saves the lives of at least triple that many Jews. The Japanese government didn’t really come around to his way of thinking until well after Sugihara’s death in 1986. Is there a place for the brave individual in Japan, committing a selfless act against injustice and intolerance in the face of certain dismissal or worse? That question is at the heart of Persona Non Grata, a must-see film for all those who ever wondered what gave Chiune Sugihara the courage to defy orders, or who need reminding that we all, each of us, can do the right thing. posted by	lardner Moore, Jr. When is this movie coming to America? In what cities will it be playing.